Adding promotional items is a great way to attract attention to packages, and Glue Dots® are the fastest and best solution to secure print material for promotional packages, bundling, and advertising items. 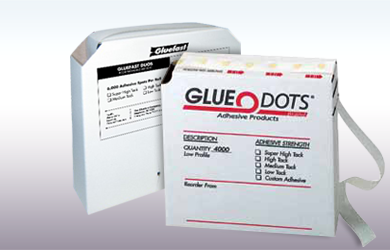 Purchase your Glue Dots® from Gluefast, the largest stocking distributor of Glue Dots® on the East Coast. Glue Dots® are pressure sensitive adhesives, often referred to as fugitive adhesives or booger glue, that go on easy and keep promotional advertising and promotional print materials secure. Attach special offers or feature certain products and coupons to promotional packaging. 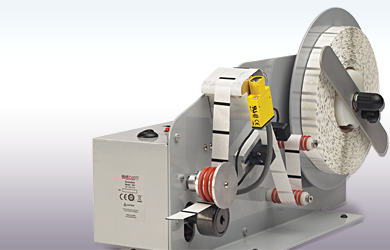 Goes on easy and keeps promotional advertising and promotional print materials secure. Use in marketing promotional packaging and bundling, for an adhesive that stays strong but removes easily. Glue Dots® give you the strength you need in an adhesive, without the headache for your consumers. 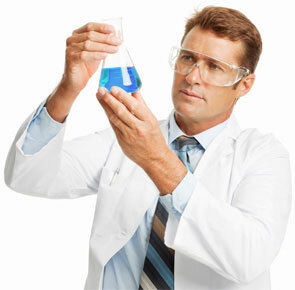 They are also available in different formulas for both direct and indirect contact with food. Whether you are looking to attach a personalized note, a business card, or a free item, you can trust that with Glue Dots®, promotional material and packaging reaches consumers the way you intended. When it comes to promotional packaging and bundling, you want to get your message across to consumers, and get it there quickly. 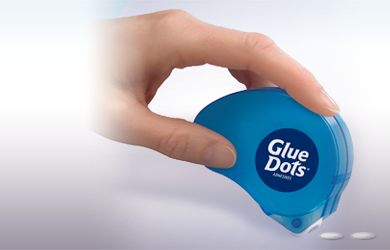 Glue Dots® are a no-hassle adhesive, designed to be easy to use and quick to attach. 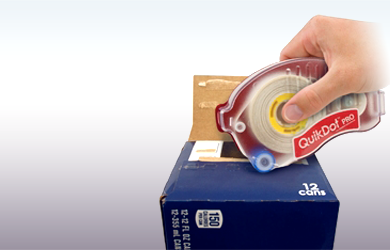 The ideal adhesive for use in mass promotional items and packaging, Glue Dots® speed up the assembly lines, cutting down on the time it takes to mail out or produce promotional advertising items. 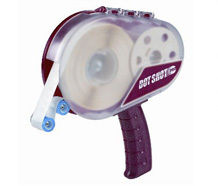 Attach custom promotional items or free promotional items for your business by simply touching the object to the Glue Dot®, or use the Dot Shot Pro applicator to bring the dots to the item to be glued. With the ease of Glue Dots®, your business can speed up operations, ensuring that your promotional materials and packages are reaching consumers, without wasting time. Glue Dots®, also known as fugitive adhesive or booger glue, come in varying tack strengths and thicknesses, the latter of which is commonly referred to as a profile. 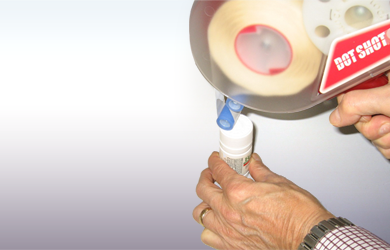 Gluefast also offers Glue Dots® in other sizes than the standard. Check out Custom Products to find the right size for your needs.